Community Development Groups, Highland Councillors and representatives from Highlands and Islands Enterprise and Community Land Scotland shared their knowledge and experiences at seminars over a two week tour across the Highland Council area between 11th and 20th November. These seminars were organised by Community Land Scotland in partnership with The Highland Council. The journey began in Helmsdale, then heading to Durness, followed by a meeting with a Development Group in Balintore, before the final two seminars which were held in Fort William and Boat of Garten. Two others were held in Mallaig and Portree earlier in the year. The aim of the seminars was to outline the methods of support and guidance on offer to communities wishing to buy the land on which they live and work, and also to illustrate real successes occurring as a result of communities purchasing and developing their own land. The experience of each of the communities visited differed greatly and some time was spent answering specific questions relevant to each group. Community Land Scotland learned much along the way and we were privileged over the course of the Seminars to hear inspiring stories from people who have real vision for their communities and how to achieve this, and who are ready to take on the challenge of ownership and development. There is still a lot of work to be done but the communities and groups we met have the drive and ambition to take on this responsibility. “As community owners continue to try and turn round the fortunes of their communities from the rundown private estates they inherited, they are making significant investments. Community owners, which are multi-faceted businesses of scale, have to finance important investments on the road to build a better future. Like any business or household some of that investment may be financed by borrowing and from time to time they will revisit their business plans in light of changing circumstances. The Heritage Trust are in process of re-focussing their business plans and have been getting some help from HIE in thinking this through. There is nothing particularly unusual in this. This is all going to the community for approval, so all of the detail is in public, and that is the nature of democratically owned community land owning companies. The Chair of the company wants to know that she has support to deliver the proposed plans so I understand that she has chosen to put this as a vote of confidence to the community, to seek to give her the necessary backing to lead the delivery of the plans. Would that private owners subject themselves and their plans to such scrutiny and a vote of confidence in their management. 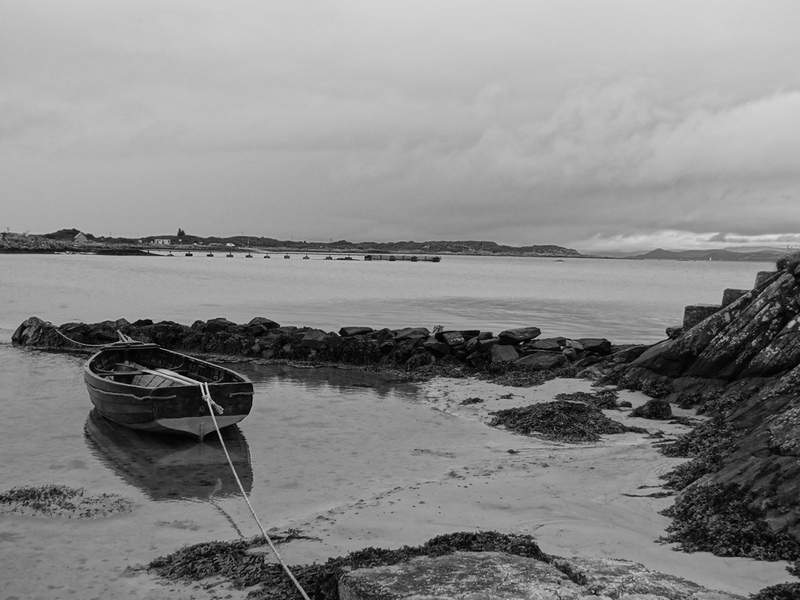 The community in Gigha has been doing quite outstanding work in the process of seeking to deliver economic recovery of their island, renovating what were houses in appalling condition, growing the population, generating new income streams from renewables and other business developments. Full release with list of Gigha community achievements - Population increase from 98 to 170, 18 new social houses built on the island, 12 new private houses built on the island, Hotel refurbished, UK’s first grid connected and community owned windfarm established which has generated c.£800,000 towards re-investment in the island over the years. On the 20th of November, Community Land Scotland Policy Director, Peter Peacock, spoke at a seminar held by the Scotsman Events series, aiming to hear from both sides of the land reform debate and to consider how best Scotland’s land can be used for the benefit of all. Peter spoke on promoting a socially just Scotland through community land ownership. Highlighting that Community Land Scotland wants to see more private landowners as well as community ones, that land reform is key to achieving social justice. Scotland's unusual pattern of land ownership compared to that of other countries was also discussed - that so few people own so much land in Scotland. Some of the key points from Nicola Sturgeon's First Minister's statement on the programme for government plans for land reform. 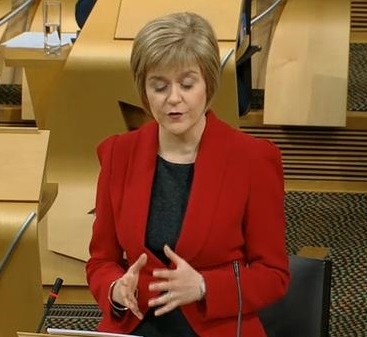 "Scotland's land must be an asset that benefits the many, not the few." All in an effort will to deliver of the target of 1 million acres in community ownership by 2020. 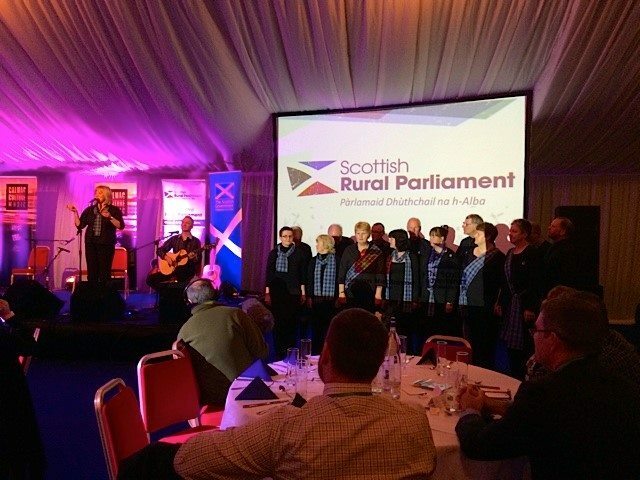 From the 6th -8th November 2014, Scotland's first Rural Parliament met in Oban, bringing together the people of rural Scotland and policy makers to enable better understanding, improve policy making and address rural issues. Speakers covered a diverse range of issues and included John Hutchison – Chair, Scottish Rural Action, Richard Lochhead MSP – Cabinet Secretary for Rural Affairs, David O’Neill – Chair, COSLA and Andy Wightman, writer and researcher on land reform. Over the course of the event, there included a focus on land reform, local democracy and strengthening local communities, with workshops held by Andy Wightman, Lesley Riddoch and Directors of Community Land Scotland. Community Land Scotland also held an exhibition stall throughout the event, open to all wishing to find out more about community land ownership and what we do. The event was a great success and looks set to continue in the future. Copyright © 2014 Community Land Scotland, All rights reserved.